New UL Listed Hot Towel Cabis from Earthlite - Available in 3 Sizes! Our favorite Massage Table Manufacturer has done it again - but now they are branching out to another piece of critical massage equipment - Hot Towel Cabinets! 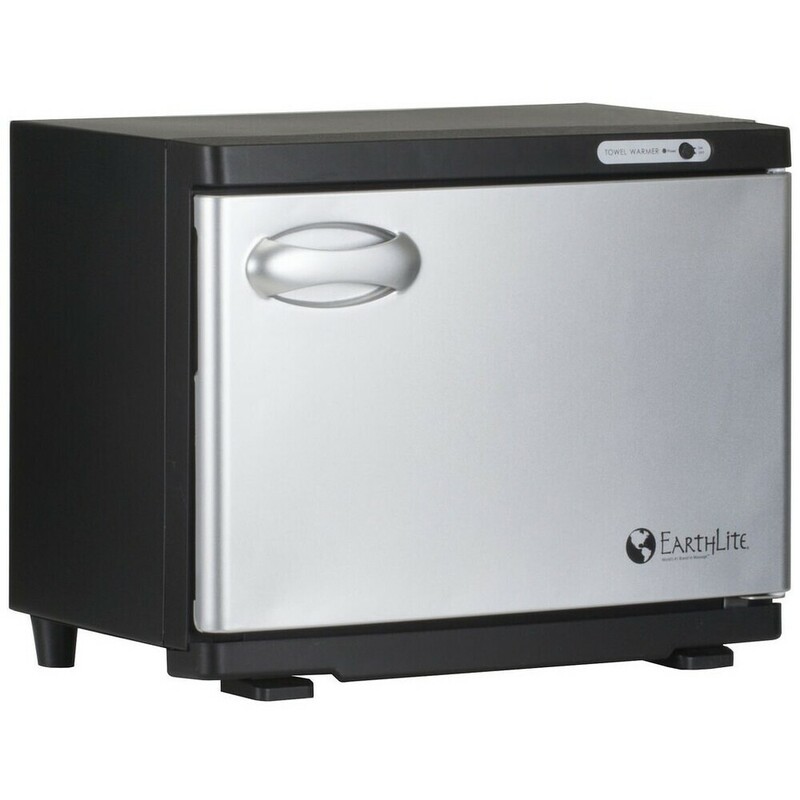 Earthlite® has developed a proprietary line of UV Hot Towel Cabinets. Available in 3 sizes, these towel warmers have been designed and engineered to produce a consistent heat range, durable construction and easy operation. The signature silver doors have sturdy hinges attached to a white easy to clean cabinet. The Earthlite UV Hot Towel Cabinet was definitely created with quality in mind. Looking for the perfect place to put your new Earthlite Hot Towel Cabi? The beautiful Alpha 2 Trolley fits the Standard Hot Towel Cabi, and offers storage solutions perfect for every spa! Available in 4 beautiful finishes, this trolley will put the ideal finishing touch on your room - functional and gorgeous!